When you think of maple trees, the first image that typically comes to mind is a crisp New England countryside full of trees ablaze with shades of orange, gold and scarlet. The sugar maple (Acer Saccharum) is one of the most prolific species of maple trees found in the North East and can be admired in many areas across the Lake States, Mid-Atlantic States and Canada as well as New England. The tree is well known for its beauty and its importance to the economy as a source of timber and in the production of maple syrup. The sugar maple has earned its place as the official state tree of New York and is also featured on the Canadian flag which serves as further evidence to support the trees importance in the Canadian economy. It may come as a surprise for many patriots of the north to learn that maple trees are quite at home in places far from the cooler climate of the northeast. Georgia can proudly boast of several varieties of maples which grow wild throughout the region. It is not uncommon to find the beautiful and majestic maple providing both a welcome source of shade and visual interest on property adjoined to many Georgia homes and businesses. 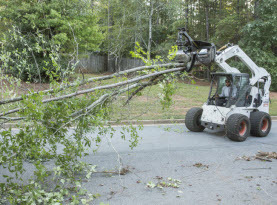 The knowledgeable professionals at Milam’s Tree Service are the experts when it comes to caring, pruning and trimming maples trees in McDonough, GA and the surrounding areas. 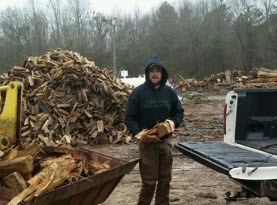 Milam’s Tree Service has prepared a list of the most popular species of maple found in Georgia. The Southern sugar maple is a close relative of the sugar maple (Acer saccharum) which is found in areas of the North East. The Southern sugar maple (Acer barbatum) is a much smaller tree which is not quite as colorful as the brilliant golds, ruby reds and blazing oranges that can be found on its cousin, the sugar maple. The Southern sugar maple is a slow growing tree which rarely exceeds 40 feet in height. The bark is silver gray in color with a canopy that can spread as much as 35 feet, making the tree an ideal source of shade. During the month of April, the tree will produce small yellow, green and brown flowers which appear as hanging clusters. The leaves will turn to orange, yellow and reddish-brown during the fall months. The Southern sugar maple performs well in Georgia’s heat and humidity, and prefers moist soil that is acidic in nature. 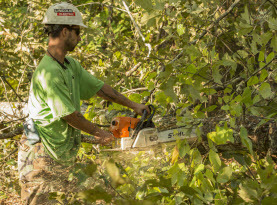 The experts at Milam’s Tree Service recommend their professional tree trimming services during the juvenile growth stage in order to establish the desired height and appearance. The striped maple (Acer pensylvanicum) is another smaller sized maple reaching heights of 40 feet as opposed to its cousin the Sugar Maple which can reach heights of 148ft. The striped maple is commonly found in the wild woodlands of Georgia and has a short trunk with greenish bark that is striped with white that fades in appearance as the tree grows. During the months of April & May, the tree will produce a cluster of drooping yellowish-green flowers. During the autumn months the leaves turn a pretty lemon shade which further compliments the green and white striped bark. The striped maple will perform well when planted in a partly shady area with rich, moist soil that is acidic and well drained. The red maple (Acer rubrum) is the most widely distributed of all maples and can be found growing along estuaries from Maine to Florida. The Red Maple is especially abundant along Georgia’s swamps and wetlands. In the wild the red maple can grow to heights of 100 feet but red maple cultivars (red maples cultivated for their desirable traits) rarely grow to heights above 60 feet. Cultivars found in Georgia can tolerate Georgia’s heat and humidity extremely well. During the months of March and April, male red maples produce flowers which are reddish to pink in color while the female produce winged seedpods known as samaras towards the end of spring. The leaves turn a brilliant shade of red (hence the name red maple) but leaves also turn yellow or yellowish green. Red Maples thrive best in moist acidic soil which has access to full sun or part shade. 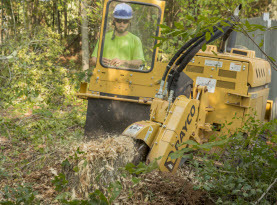 For more information regarding trees around your Henry County home or business including tree trimming & pruning, emergency tree removal, stump grinding & removal & storm damage cleanup, contact the experienced & knowledgeable professionals at Milam’s Tree Service today.